Whether it's your partner, a family member or even your bestie, it's nice to show them love by giving them something special on Valentine's Day. Sure, jewelry is a good go-to gift idea, but it's also something very personal. Not everyone will be thrilled with receiving the standard bejwelled heart necklace every jewelry chain offers. Everyone has their own tastes when it comes to accessorizing; some like gold, others prefer silver. But what makes jewelry so special is when it has a story attached to it. 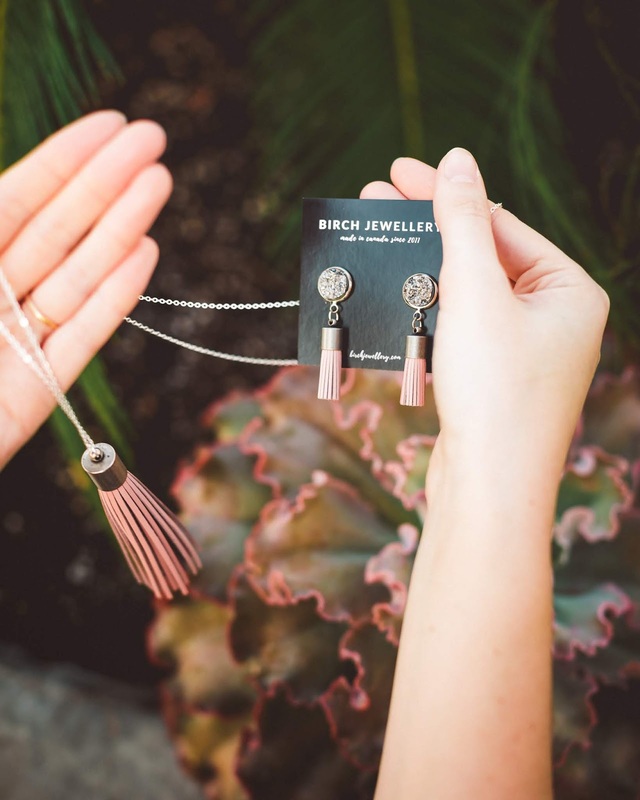 If you're looking to gift not only a beautiful piece, but a memory they'll cherish, look no further than to Birch Jewellery. 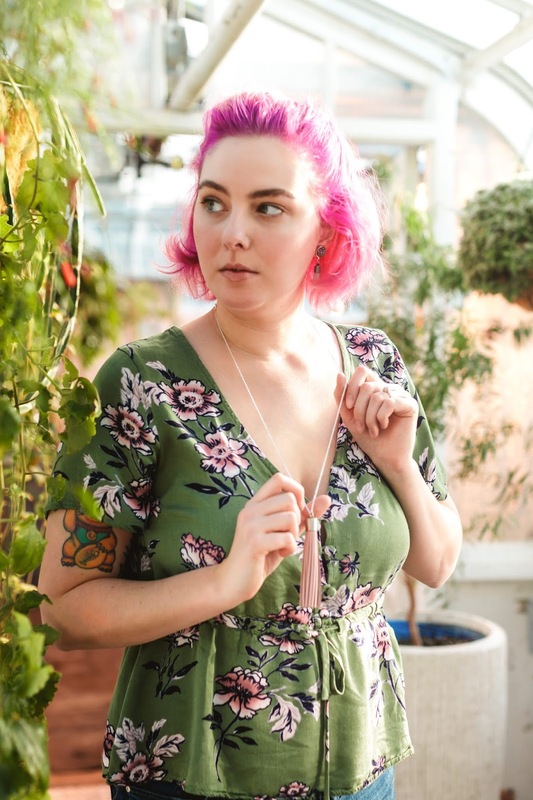 Samantha of Birch Jewellery knew this girl likes her pink accessories! Handmade locally in Ottawa by owner, Samantha Brazeau-Wilson, the line features stunning necklaces, earrings and bracelets all inspired by nature's beauty. 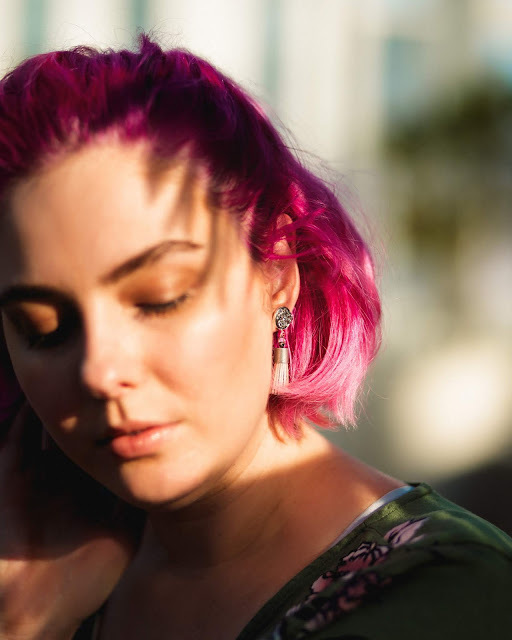 I had a chance to sit down with Samantha to learn a little more about her inspiration behind the line. "My backyard is the bush," says Samantha of her Northern Ontario roots, "As kids we would collect like pinecones and acorns and all of these little things." She's taken those same little treasures she once cherished as a child, and cast them in gorgeous gold and stunning silver. And while they serve as reminders of her hometown, these beautiful pieces strike a chord in many of her customers for varying reasons. "The maple leaf in particular can can have so much meaning. There's so many new Canadians where that symbol means so much to them; a fresh start or rejuvenation." Of all her nature-inspired , the pine cone is her biggest seller (and is a personal favourite of Samantha's, as well). "They're just perfectly imperfect. And I think everyone can kind of relate to that. We're all one of a kind." Samantha went on to tell me that some customers even email her afterwards to share their emotional stories on why they bought certain pieces. She was especially touched by one individual who wears a necklace to commemorate the loss of their child. "Here I am making a necklace because it's stylish and fun to do, but you don't realize how it's impacted someone's life." Can't get over how these babies sparkle in the sunlight! They're the perfect amount of glam to step up any ordinary outfit. The Birch line also features druzy quartz, leather tassels and mala gemstone bracelets, all in beautiful earthy tones. All of the materials are sourced locally and handcrafted in Samatha's home studio. There's truly something for everyone in the collection, but if you're still having trouble deciding on what to get for your Valentine, Samantha has some stellar shopping advice. "Look at the person, judge by what they wear or what their style is like. And then if you can add that personal connection, then you're golden!" 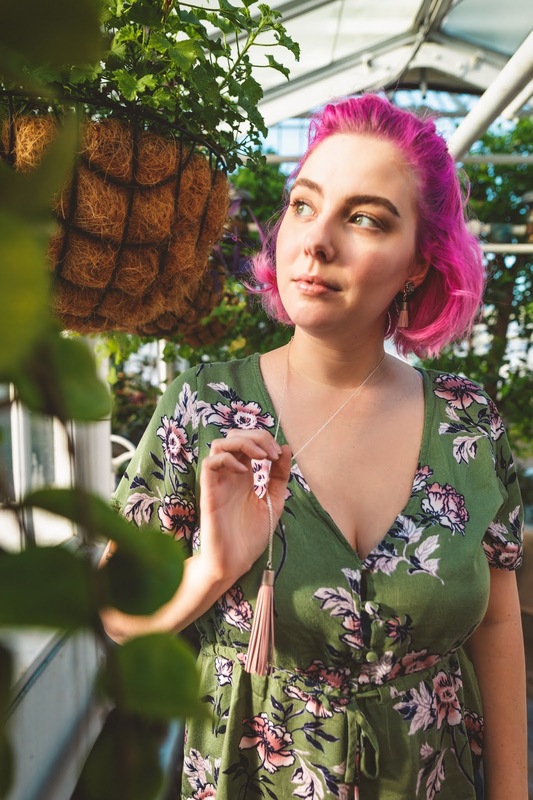 Samantha gifted this gorgeous blush pink tassel set to me because she knew it would fit perfectly with my signature pink aesthetic. I love these because they're so easy to dress up or down. I can see myself topping off a casual jeans and a leather jacket look with them, or even pairing them with a cocktail dress for date night. "At the end of the day, if you see something you really like and it makes you think of that person, you already have a story behind it. If you see a pair of earrings and you think, "I can't stop thinking about so-and-so," you can tell them that when you gift it to them." 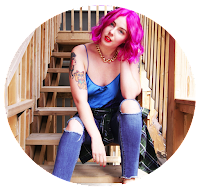 You can shop Birch Jewellery online, or visit her booth at Big Love Freewheeling Craft Market on Saturday February 9th, and 613Flea on Saturday February 23rd. *Special thanks to Khoa Nguyen for the beautiful images. Products included were provided complimentary in exchange for my review. All opinions are my own. 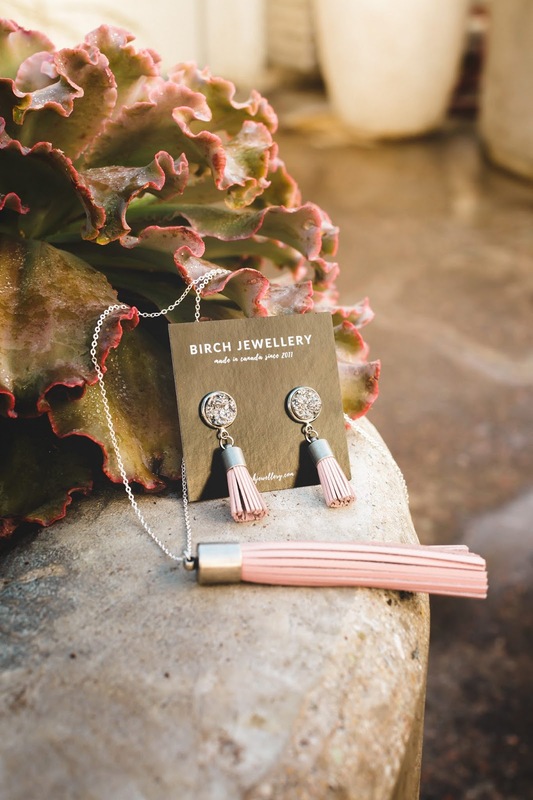 Birch Jewellery? Enter my giveaway below! Open to Canadian residents only. Contest closes Sunday Feb 10th at 5pm EST. One winner will be randomly selected and announced in the widget below & via email. I commented but I don’t think it published! I would gift this to my mom, I know she would love it! Beautiful jewelry, love the tiny acorn necklaces! I would gift this to myself because I'm an industrious and resourceful PhD student who deserves to treat herself sometimes! I would give this to my best friend Donna as agift for her birthday! I love this set! I'd gift this to my daughter because she loves jewelry! I would give to a good friend . Due to the fact she gave me an awesome Christmas present. Love it, Would gift it as a Birthday gift to my oldest daughter, Krista. I'd gift this to my bff, because she's got great taste in jewelry! Honestly I am not sure whom Id gift them too. I may just keep them for myself! my roommate would love these, she is all about the tassels! I would keep this set for myself since I have only sons. I would gift it to my daughter she would love this. I would give this to my daughter because I think she would really like it. This would make a lovely gift for my sister because she wears a lot of jewellery to work & out to dinners. I woukd gift this to my best friend Jaime. She is just finishing school and I believe itd make a wonderful graduation present. Do I have to share, or can I keep it for myself since it is so lovely? I would gift it to my mom for Valentine's Day! She loves jewelry. My daughter-in-law would love these. She loves the colour pink! I'd gift it to my daughter for Valentine's Day! I haven't been working so it would be nice to be able to give her. This set is so pretty. What a great find right in your own backyard!